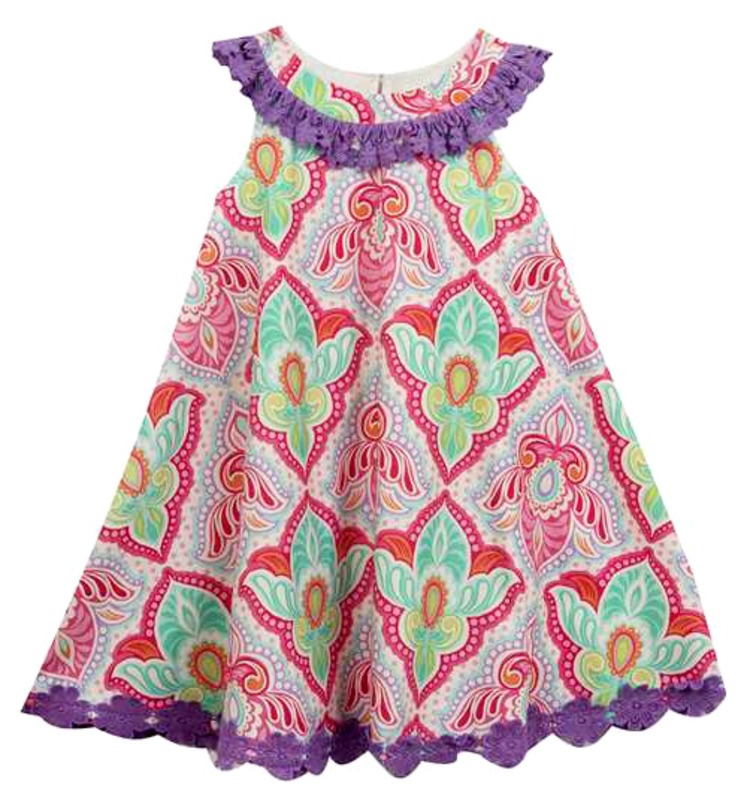 Precious retro print float sundress features festive purple ric rack trim at neckline and hem. 100 percent woven cotton. Machine wash. Imported.